The cloud is not new. Nor are the arguments for and against using the private or public cloud going anywhere. All standpoints seem valid. The fears are real and tenable. The solution seems to lie in the creation of the cusp—the hybrid cloud—that resolves the problems and confers the benefits of the cloud. Therefore, it is no wonder that hybrid clouds and discussion on hybrid clouds are dominating the scene. 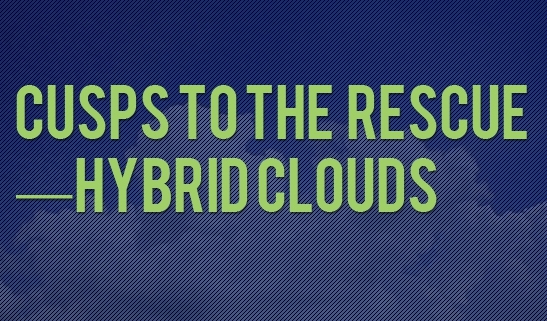 Hybrid cloud can be simplistically defined as a multi cloud scenario in which the organization uses a Private cloud plus a Service Provider cloud to store and retrieve information. But, it is obvious that these environments will have to be built differently, operated differently and consumed differently. The resources that are allocated to users are no longer static and may be delivered from different locations at any given point in time. The delivery of service is end-to end and convenience is the priority. The implication is that information delivery constructs; information protection needs, security policies or control systems are manifestly different from those adopted for private or public clouds. The application delivery requirements or application integration needs are distinct. Clearly, information logistics is a valid concern in the hybrid cloud. A lot of information is going to be moved around the network and it must be available at the right location at the right time over the hybrid cloud. Organizations will have to have an understanding of their data and their usage patterns. They will have to appreciate the cost of moving data around; the risks involved and also ensure that the users have a pleasant experience in accessing and using the data. All this requires the use of several new technologies and better tools. Information protection and security are of paramount importance. Different protection levels will have to be built in for different types of data in a hybrid cloud scenario. All data is not equal and some data is more important than others. There will have to be mechanisms which ensure that data is continuously protected and accessible to the authorized. Application service delivery in a hybrid cloud can be complicated. Most applications will be a mix of internal and external components and end to end delivery of the application may become critical. Finally application integration may require extensive customization to create value for the organization. We, at Data Deposit Box, can help you build a hybrid cloud strategy and hand hold you through the process of setting it up. Contact our support team for more information. Business is no longer local, confined or constrained by the physical. The electronic world is borderless, instantly worldwide. Remote markets expose infinite potential for growth as small and medium businesses ride the cloud to reach out to these markets using web browser based accessible application interfaces. Data backup and disaster recovery are priorities for large or small and medium organizations. Cloud backup and recovery services are becoming increasingly sophisticated as backups processes are being streamlined and service level agreements offer highly available, infinitely scalable services with deduplication, compression and other facilities to their customers. Data contained in proliferating mobile devices are linked up to a central database over the Internet for central storage and security. Further, cloud service providers add value to their services by provisioning for bank grade on military grade encryption protocols at the point of transmission and in storage. Elaborate user management systems for authentication and authorization of account users provide additional layers of data security. There is a peak in efficiency as databases and the data contained therein become more and more manageable with versioning, collaboration and indexing for e-discovery. The biggest benefit of the cloud is seen in the greater financial control that accrues to businesses. Cloud operations are more OPEX than CAPEX and the network is instantly available across the enterprise without investing in IT infrastructure or laying down miles of cables. 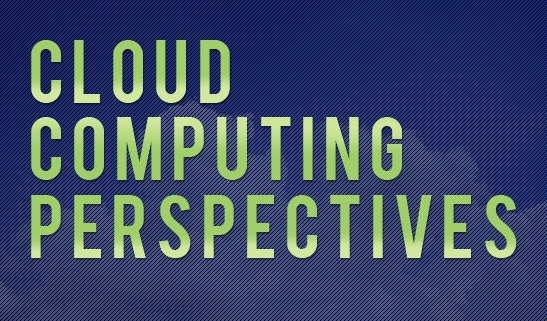 The cloud is a driving force behind green computing. It provides business value by reducing carbon footprints and reducing energy consumption patterns. We, at Data Deposit Box, believe in delivering value to our customers. We offer state of the art cloud services that include hacker proof 256 bit encryption protocols and user management interfaces for added data security. Our servers are highly available and we disaster proof our customer data by replicating it on to geographically dispersed servers for redundancy. Our data centers are physically and electronically secured against intrusion. We are environment friendly and leave only a minimal carbon footprint by our activities. 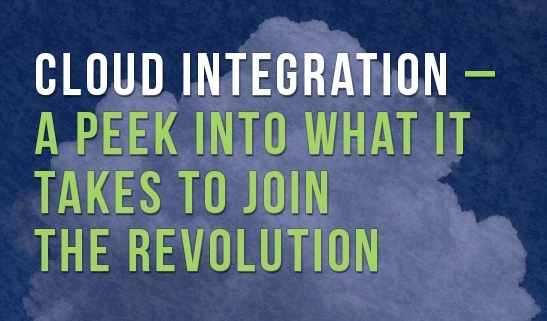 Integrating your data and applications into the cloud is attractive. But what does it take to achieve it? Here are a few pointers that may be useful in your decision making exercise. Political factors: Resistance to change is unavoidable. This may come from within the ranks of the organization or from the Administration. The ranks may object on operational grounds. They do not want to give up on functionalities or change the business processes. There is an underlying fear that process compromises may result in quality compromises or result in unemployment. Risk-averse management may resist the cloud on grounds of perceived loss of control over data and applications. Test drive deployments may help your organization decide to go with you. Technical Considerations: Infrastructure as a Service (IaaS); Platform as a Service (PaaS) or Software as a Service (SaaS) will transform IT thinking and strategy. This will create resistance at all levels of the organization. The organization will need to recognize benefits of outsourcing IT and overcoming limitations of in-house IT. For instance IT will have to focus attention on the type and nature of data that will be transmitted into the cloud as it will have a bearing on the type of cloud architecture that is selected for the organization. The enterprise may have to take network latency or appliance based solutions into consideration while designing the cloud strategy. Financial Considerations: The total cost of ownership (TCO) will have to be evaluated before a cloud solution is adopted. This will have to be compared with the on premise solution before decisions can be made. Normally, a cloud based solution is OPEX intensive while an on premise solution is CAPEX intensive. TCO can be affected by number of licensed users, the amount of custom configuration required for integrating the vendor hardware/software with in house resources and whether the current set up is providing you with the necessary economies of scale and reducing costs. Legal Considerations: Industries subject to legal mandates may also like to take into consideration any legal implications of adopting the cloud. They will need to examine if the cloud facilitates compliance; legal e-discovery and security of personal customer information. We at Data Deposit Box understand your world. We hand hold you through your brainstorming sessions and help you make up your mind on whether or not the cloud is the best solution for you. If you decide to join the revolution, we are there to help you organize your data and select the best tools for transforming your IT into a cost effective system that will make you proud and profitable. 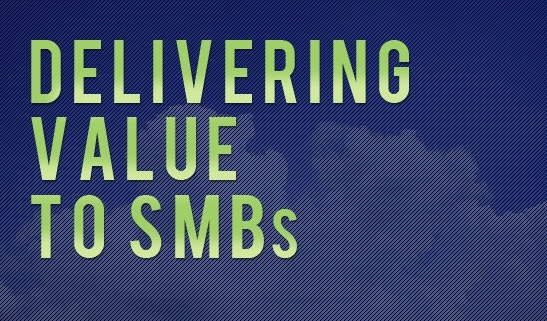 Cloud computing is a directional move towards standardization of business processes. Cloud vendors focus attention on the generic aspects of a business and identify best practices that can be adapted to create software environments that facilitate the business processes for that industry. It improves the shape of the experience curve and brings in economies of scale. However, business specific customization options are limited and businesses operating within the industry may be forced to re-design their processes to fit in with the generically designed processes. Cloud computing is a strategic tool for acquiring competitive edge over rivals and a larger market share on a global scale. For the first time small and medium enterprises find that they can compete on par with large enterprises using tools that were not available to them earlier. The global reach of the cloud links up the different divisions of the organization seamlessly and makes mobile working real. Growth strategies and plans no longer need to be limited by physical constraints. The world is the playground. Cloud Computing creates a set of innovative business models and terminologies—Web 2.0, Software as a Service (SaaS); Infrastructure as a Service (IaaS); Platform as a Service (PaaS) and so on. On premise computing infrastructure based thinking is replaced by utility computing concepts and service level agreement management orientations. Open standards, data portability and accessibility are issues and concerns in this new world. New terminologies have emerged as business users discuss Automatic system computing; grid computing; platform virtualization; web services; web application frameworks or open source software. We, at Data Deposit Box, help you understand these different perspectives on cloud computing and navigate your way through the new and emerging terminology. Our expert advisers are available 24/7/365 to answer your questions and hand hold you through the process of coming to grips with the cloud. Contact our support team for more information on how Data Deposit Box can assist you in ensuring that you step in the right direction armed with the right perspective on cloud computing. Archiving business data is one critical component of a business you cannot ignore, especially if you want your organization to recover quickly from data disaster. A TwinStrata research has shown that, at least a quarter of all computers in the world still don’t have cloud storage system, and that less than 7% of business owners engage in safe computing by archiving their computers every day through cloud computing. While storage of data on external hard drives has become the tradition for years, cloud backup is increasingly becoming more popular in many organizations across the world. 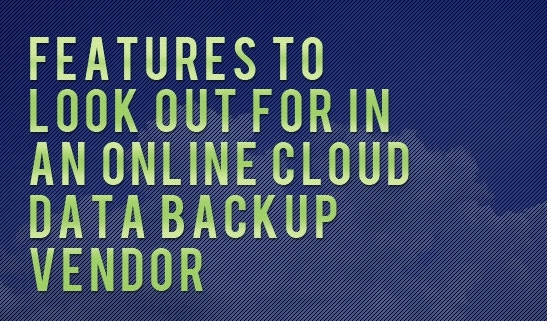 Costs of having an online cloud data backup should not be a major determining factor in choosing a vendor. As a matter of fact, the more expensive a cloud service is, the more likely you will get more benefits from it. There are hundreds of companies now selling data mobility services online, and they possess several automatic features that can restore data to their host computers. However, not all of them allow you to retrieve your data via smaller devices such as smartphones or tablets. While online backup may be the best possible way for data protection, it can become extremely slow in retrieving such data, especially, when your Internet is slow. Secondly, most cloud backup service providers can only provide backup for data that you create and not the ones your computer will need to boot up, this simply means you have partial data protection. One of the most important key features of an online cloud backup is the control panel. It normally includes a task tray icon where you can access other features on the user interface. From the interface, you can access information on when the last backup was done for your business, as well as the number of files or data waiting for backup. Similarly, there are options for backing up data immediately, restoring your data or changing the settings of the software features of cloud backup. Excellent storage capability is another key feature on any online backup software. Depending on the type of service you opt for, there may be a limit on types of data that can be archived. By default, many cloud storage system will archive all types of files, but may ignore certain systems or programs, such as window files. Some of the software features of cloud backup systems are: continuous and scheduled backup abilities. You can set the software either to perform a continuous online backup where your data or files are automatically backup as they are saved or edited, or periodic backup where your files are archived only when you want to. For most backup software online, your archived data may be available for recovery for up to 30 days after they have been deleted – this is one of the key features of most data backup software. For most service providers, all redundant backups may be kept only for a limited period of time, however, you can negotiate with the service provider for an extension of such duration just in case you need such data in the future.